The ever popular Mario Party will find itself a new home this winter. Nintendo and Mario Party fans will be able to play the new title on the 3DS for the first time since the series launched in 1998. Although Nintendo didn’t announce an official title for the game, they did showcase some of the gameplay and announce a variety of features exclusive to the 3DS title. Every individual board a player is situated on will provide a different game play experience, with seven unique boards in total, Satoru Iwata, President of Nintendo, said. Along with the seven new and unique boards, there will be 81 mini games for players to utilize. 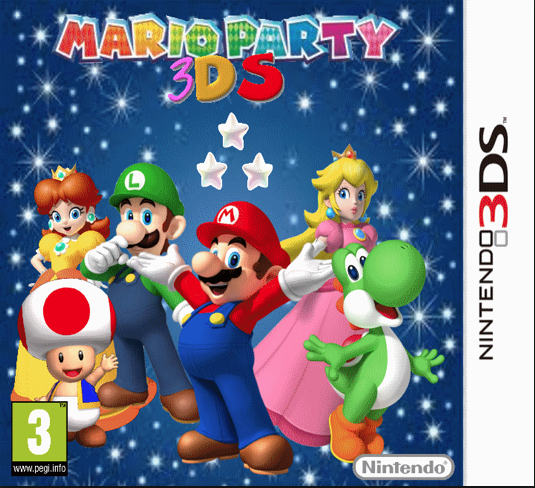 Mini games have always been some of the more successful elements to Mario Party titles, and the mini games for the 3DS title look like they will be using the 3D element of the console pretty heavily. Many of the mini games will use other 3DS features which other games tend to neglect, including Street Pass and AR cards. One of the best aspects to the 3DS game is the inclusion and promotion of multi player interaction, even with a hand held console. Mario Party games are precisely that, and have always been intended to play with a wide array of friends and family. Using Street Pass and the ability to connect online, Nintendo is once again bringing the multi player facet to some of their more beloved titles. No official release date has been announced, but keep an eye out during this year’s E3. For other Nintendo Direct related content check out Perry Jackson’s piece on a Legend of Zelda sequel and his piece on the return of Earthbound.